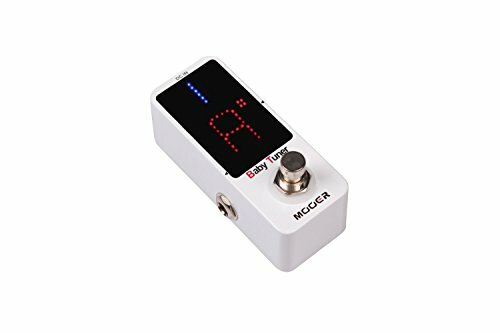 A high precision tuning micro pedals, can be accurate to 1 points. Works with most Electric or Electro-acoustic instruments including seven string guitar or five string bass. Display Uses 108 high brightness LED's and is visible even in strong light/sun. Very small and compact design. True bypass switch. DC 9V.